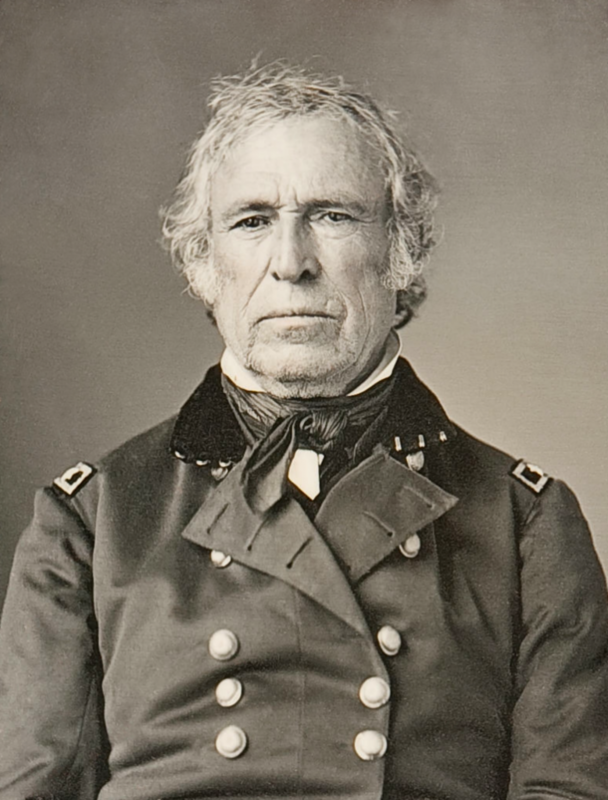 Pictured above is Zachary Taylor, a forgettable American President. He served only 16 months in office — so far, that’s the third least of the 45 — and historians generally see his term as one that accomplished very little. In fact, the most interesting thing about his life in office was probably his death — and his return more than 140 years later. On the 4th of July, 1850, Taylor was in attendance at the future site of the Washington Monument in an effort to raise funds for the monument’s construction. Like any good fundraiser, there was a lot of good food to eat, and Taylor indulged himself; per the History Channel, he “gulped down a large quantity of cherries and iced milk and then returned to the White House, where he quenched his thirst with several glasses of water.” Other accounts differ slightly, but the basic, agreed-upon point is that he ate a lot of fruit and drank a lot of milk. That turned out to be a mistake: nausea, dehydration, and the works ensued. And five days later, he was dead. What killed him is unclear, but the generally accepted explanations involve a mix of bacteria, bad sewage practices, and (by today’s standards) questionable medical care. First, the bacteria — it’s surmised that the milk or water contained a pathogen. (At the time, Washington, D.C. had an open sewage system; tainted water and extreme stomach ailments were hardly rare.) Combine that with doctors who probably didn’t know what they were doing — antibiotics weren’t a thing yet anyway, but the physicians methods, which included bloodletting, probably made things worse — and Taylor didn’t stand much of a chance. Again, that’s the generally accepted story. But there’s also the tin-foil hat conspiracy theory. Taylor was a member of the Whig party, formed in 1834 to stand against then-President Andrew Jackson. As Jackson’s term came to a close, slavery became the major issue of the day — and the Whigs were a party divided. Taylor, despite being a slaveowner, wished to stem the tide of the country’s greatest evil, but that wasn’t a position held by the entire party. For example, Millard Fillmore, Taylor’s vice president, saw slavery as a state issue and not a federal one (despite disapproving of the practice). This divide led some to believe that Taylor was assassinated — poisoned — by slavery supporters in the South who wanted Fillmore to be in charge. In most cases, such a theory would be dismissed as quackery. But for some reason, rumors of foul play sustained for more than a century. In the 1980s, a former University of Florida professor named Clara Rising led the charge to do the unthinkable — she asked Taylor’s descendants for permission to exhume his remains, so that it could be tested for toxins. And, surprisingly, Taylor’s family agreed. Despite her on-going claims, Taylor’s remains were again laid to rest shortly after the findings. Bonus fact: The election of 1848 wasn’t only the first time Zachary Taylor ran for President; it was also the first time he voted for President. Before that election, Taylor had abstained from voting. From the Archives: A Bone-Headed Crime: Abraham Lincoln’s body wasn’t destined to rest in piece. Related: A biography of Zachary Taylor by John S. D. Eisenhower and Arthur M. Schlesinger Jr., 4.2 stars on 55 reviews.